Siri and Alexa are going to become a lot more useful to you in the near future. Consumers have been skittish about the notion of artificial intelligence (AI) invading their homes: What if robots take over the world? Who’s spying on me? Who's listening to my conversations? But now those same consumers are starting to embrace the new technology in their personal lives and businesses. This in turn has raised the confidence of companies interested in the technology -- so much so that companies have tripled their AI investment since 2013, according to a survey by McKinsey & Company. AI, in fact, has the potential to completely change the way companies do business; and because of technological developments, more companies, in 2019, will be able to access and implement this life-changing technology. Already, companies like Amazon, Microsoft and Google are leading the way. So, given those expected future advances for the technology, check out four AI trends to watch for in 2019. Consumers have been benefiting from having AI assistants in their homes for some time now with the introduction of Apple’s Siri, Amazon’s Alexa and other devices. You can ask AI assistants to play you a song, tell you the weather, search out information online, turn off your house lights and much more. Consumers have been embracing this new AI-powered technology. In fact, in a study from Adobe Analytics, 71 percent of smart-speaker owners reported using them at least daily, while 44 percent said they used them multiple times a day. So, in 2019, expect to see even more advanced AI assistants in your home, at work and in other areas of your life. As of now, what consumers ask AI assistants to do is pretty basic, like searching for and playing a particular song. But expect to see big changes in the tasks AI assistants can perform in the near future. AI assistants will soon be able to provide even more individualized experiences as they get better at recognizing different users' voices. Instead of just speaking to your AI home device or your mobile phone, I predict you’ll soon be able to speak to your car, TV, refrigerator -- even your lamps. According to a survey from Indeed, 42 percent of employers polled were worried that they wouldn't be able to find the talent they needed. For many businesses, the recruiting process is one of their most time-consuming and stressful tasks, but with advancements in artificial intelligence, AI-powered recruiting tools will be a recruitment trend to watch for in 2019. 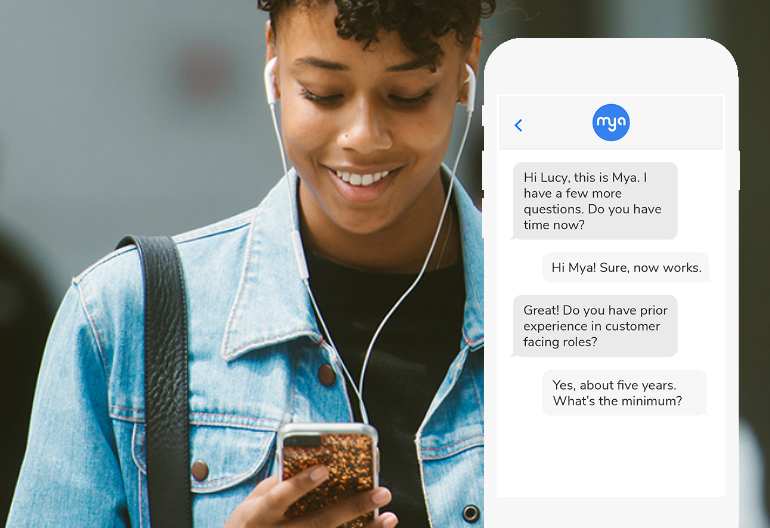 For example, Mya, which stands for “My Recruiting Assistant,” is a chatbot recruiting assistant. It can communicate with candidates via Skype, email or text. It can pre-qualify candidates for you and even reject a candidate if you decide to pass on his or her application. Along with AI-powered screening and candidate-communication tools, a number of emerging artificial intelligence tools are emerging that will help employers save even more time and find the candidates they need next year. In other words, the way users are provided answers to their queries will become more advanced as well. What neighborhood would you prefer to live in? Would you prefer a gym and pool on the premises? Users will then be able to narrow down the solutions and get exactly the search results they’re looking for. Since consumers are changing the way they search, the quality of the results they expect to get is changing, as well, pushing AI to keep up with those expectations next year. Chatbots have been improving customer service for businesses of all types in recent years; you can even order a pizza through a Facebook chatbot now. In 2019, expect chatbots to become even more advanced and human than before. With natural language programming, you no longer have to have a robotic conversation: Consumers can speak to chatbots just as they would a live chat agent. Beyond simple chatbots, more companies will also be implementing life-like animated virtual agents, too. Autodesk recently unveiled its virtual agent, Ava. Ava is a “digital human” who can answer customers' questions, direct them to content and help them check out, as well as respond interactively to emotional signals from those users. More and more retailers and businesses will be using conversational chatbots and virtual agents to solve customer service issues without having to pass users off to a real-life staffer. So, now you have four useful and exciting AI trends to look forward to in the new year. As AI advances, your business will be able to take advantage of this technology to not only give you more convenience in your personal life, but help you run a more efficient and profitable business.